There’s a brand new thing I just tried. Having around 16 years of IT experience under my belt (out of 14 years of official work experience overall) I just did something I haven’t done in a long long time. I just ordered a brand-name PC. I did bought two or three custom-built PCs before at computer fair, but never ever in my life did I purchase a brand-name desktop before. 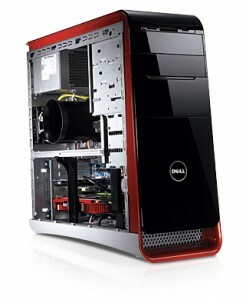 All my PCs were custom-built, from carefully researched and hand-picked components. But there’s something I have realized recently. I realized that I don’t care. Or rather – I don’t have time to care that much. Instead of spending countless hours researching why certain memory brand is better then another, which letter in motherboard name means what feature and which revision supports what I am just going to order pretty much same configuration for pretty much same amount of money. If there will be a difference – it will justifiably offset by the work I’ll be able to get done instead of doing a research. In fact, I really believe that I will be able to earn more money in time I saved by not doing a research then I will be able to save by doing a deep and convoluted research. This all comes as a part of my new (i.e. new to me, not to the sane people of the world) time management strategy – to manage my time with more scrutiny than ever. Down to a 15-minute intervals, if not less. Buying a branded PC instead of spending an estimate of 20 hours doing research should yield those 20 hours to earn money. If I can charge half that time to the median of my regular rates I would probably earn about $300 – 500 on top of covering an overpayment for this branded PC. Being able to delegate the responsibility of building and delivering a PC to my home allows me to concentrate on money-making activities instead of money-saving ones. What’s good about it is that there’s certainly a ceiling on how much money you can save. In the case of a spherical horse in a void space you can save only as much as you make. There is, however, no limit on how much you can make, so making money by default is much more profitable, than saving. Time management, on the other side, is a bit different creature. You cannot make more time since there’s only 24 hours per day and only 7 days in any given week. Trust me, I checked. You can, however, save a lot of time by delegating second and third-grade activities (“should do” and “nice to do” things) to other people or institutions. Having custom-built hundreds of PCs I didn’t come easy to the idea of purchasing a PC off-the-shelf. Having been a small business owner for just a few years easily justified the rationale behind delegating this activity.